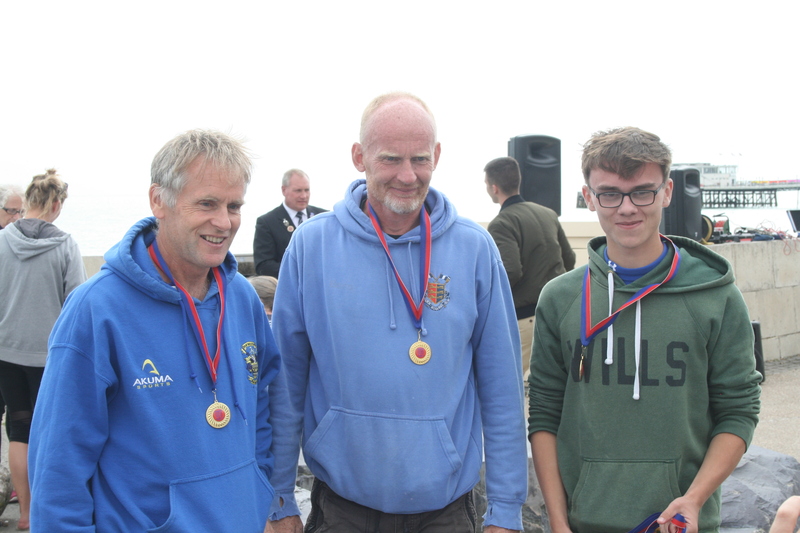 Dover Rowing Club were in action at the Worthing Town Regatta at the weekend in the last of the regular season competitions. 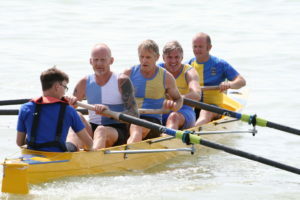 Club Captain Tony Burrows joined the Eastbourne boat of Norwood, Guppy, Warland, coxed by Bishop in the Veteran 50+ race. 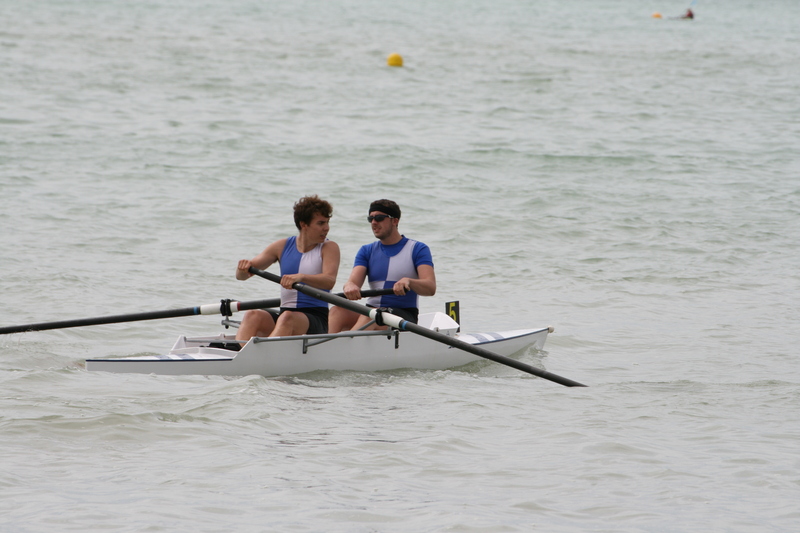 Burrows in the stroke seat set the rate as the boat shot off to an early lead taking a length within 150m. 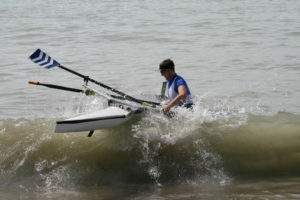 The boat continued to move away from the field and made a clean turn before running home for the win by three lengths. 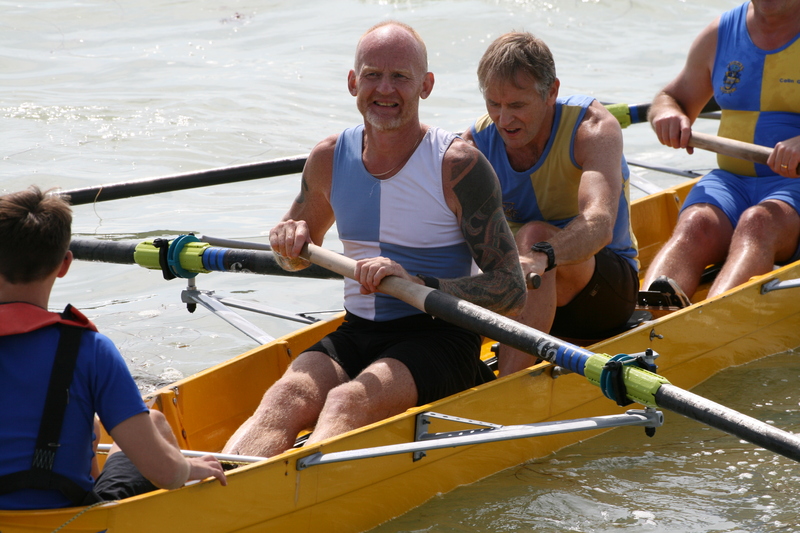 This was Burrows first win since qualifying for the 50+ category. 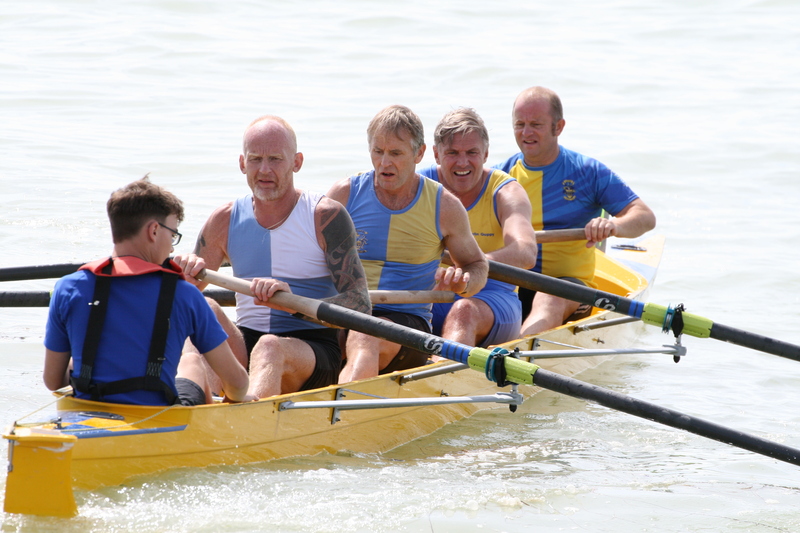 The same crew also came home in 4th in the Veteran 40+ race. 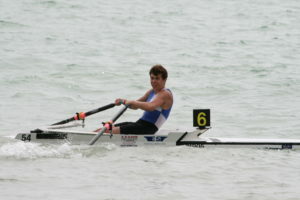 The Men’s Novice Sculls saw Nathan Peach in the first heat. A good start saw Peach contending for the top four qualifying places. He was still in contention after the turn, but fell away towards the end to finish 5th. The second heat saw Burrows and Tom Stothart competing. 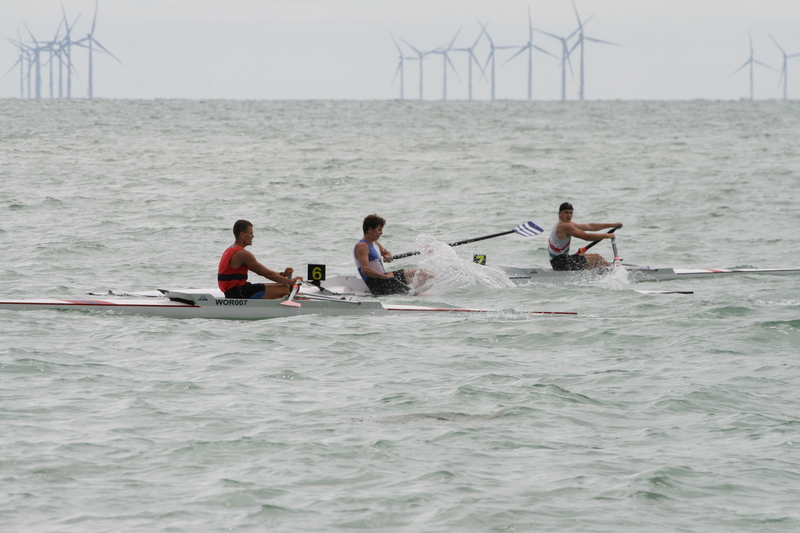 The conditions were not in Burrows’ favour and a slow start saw him turn around, whilst Stothart got a great start and led to the buoys. 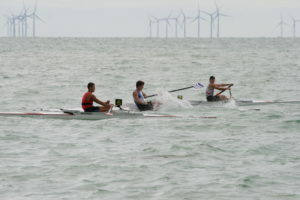 After a clean turn he maintained a good lead to the line to qualify for the final. 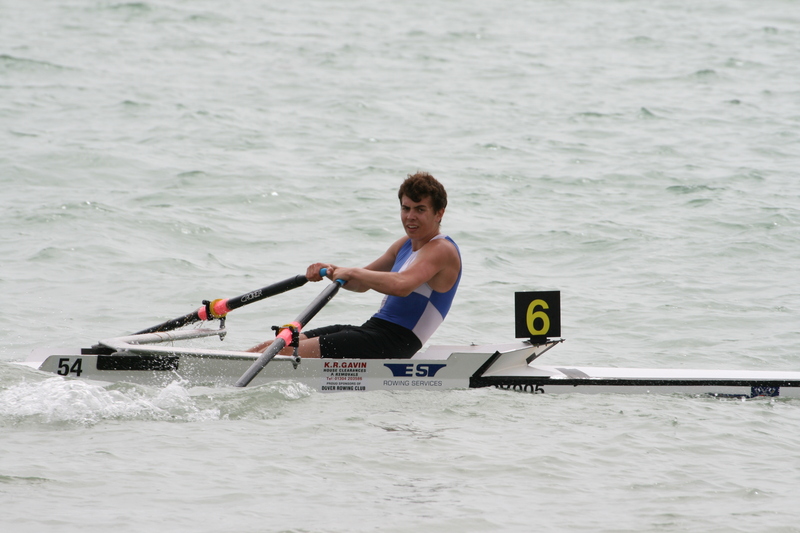 Stothart had a shaky start in the final, with a near capsize within ten strokes, which allowed the Herne Bay sculler to get away from him. He chased hard but a poor turn left him fighting to maintain 2nd. 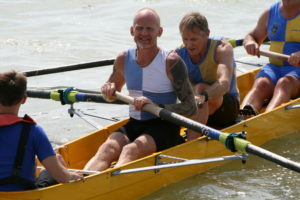 Stothart slowly moved clear in the later quarter of the race to secure the runner up spot. 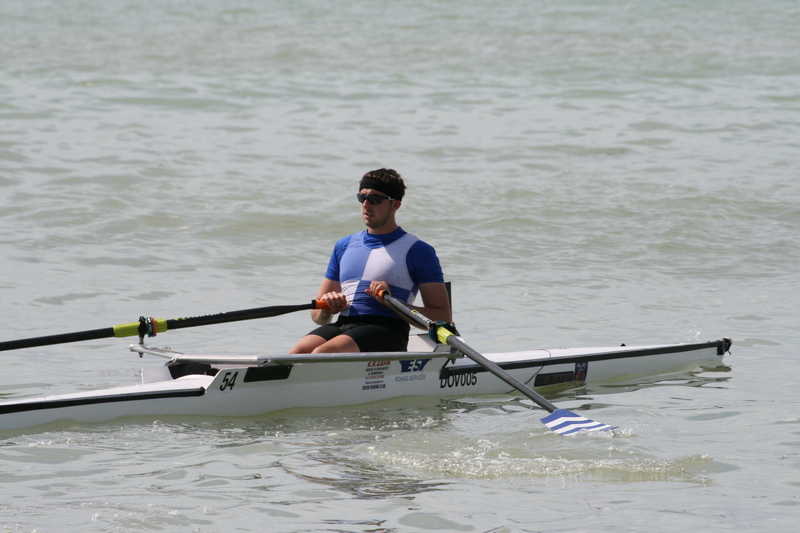 Chris Hall was in action in the Men’s Junior Sculls where he was midfield after the start. Hall slowly moved through the field to lay 3rd with 500m to row. 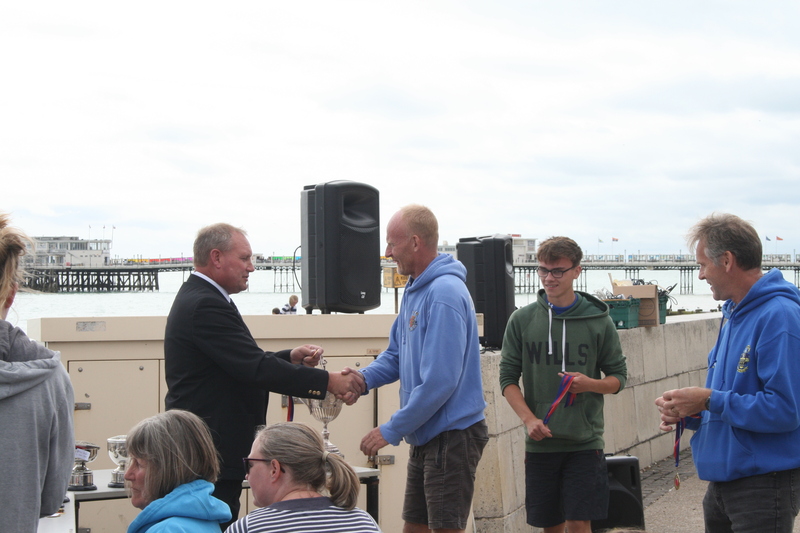 Hall started making rapid gains on the second place man, and looked likely to take 2nd place, but caught a late ‘crab’ to leave him 3rd. Hall and Stothart combined for the Men’s Junior Pairs. 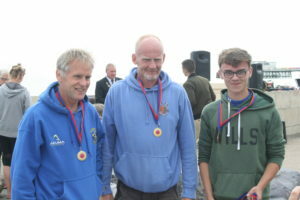 The young pairing applied pressure to the leading Herne Bay crew from the start. At the turn the Dover boat looked good for 2nd but a fast finishing inside Southsea crew dropped them to 3rd. 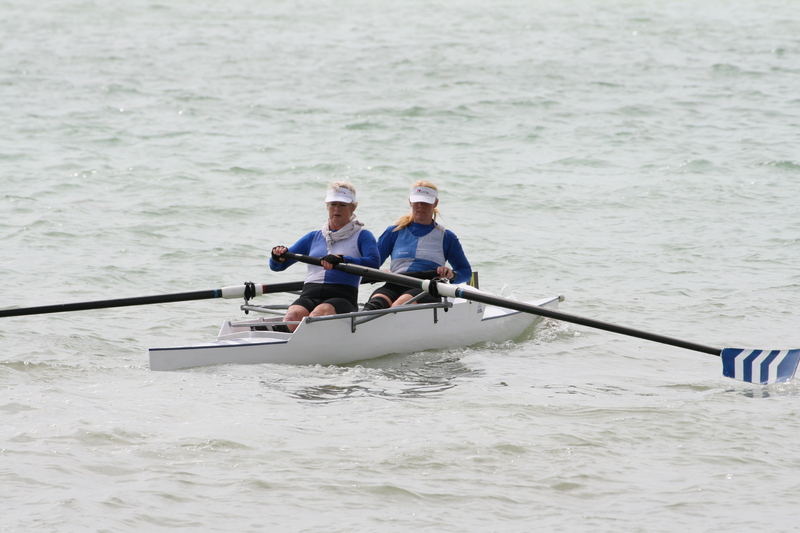 Jo Johnston competed in the Ladies Sculls event. 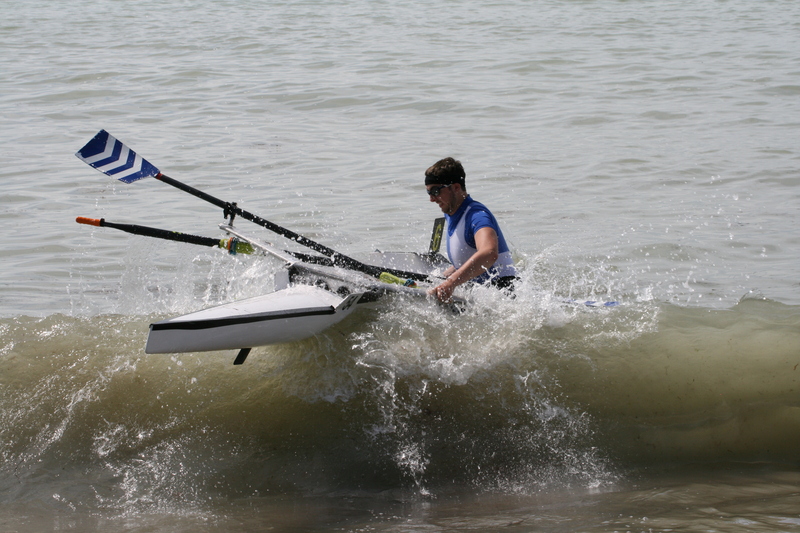 A steady start saw her in the battle for points, moving to 4th by the turn were she increased her lead over the 5th paced sculler. On the return Johnston was unable to meaningfully close on the top three, leaving her to finish in a comfortable 4th place. 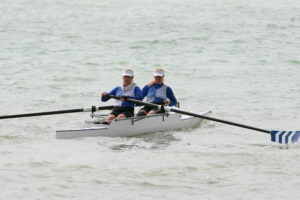 Johnston and Maria West-Burrows raced in the Ladies Senior Pairs. Following a boat change the ladies crew were late to the line possibly impacting their start and leaving them towards the back of the field. As the race spread out the Dover crew slowly picked up places to move into the points. After the turn the ladies moved into 5th but were unable to improve further. This entry was posted in Press Release by David Newman. Bookmark the permalink.